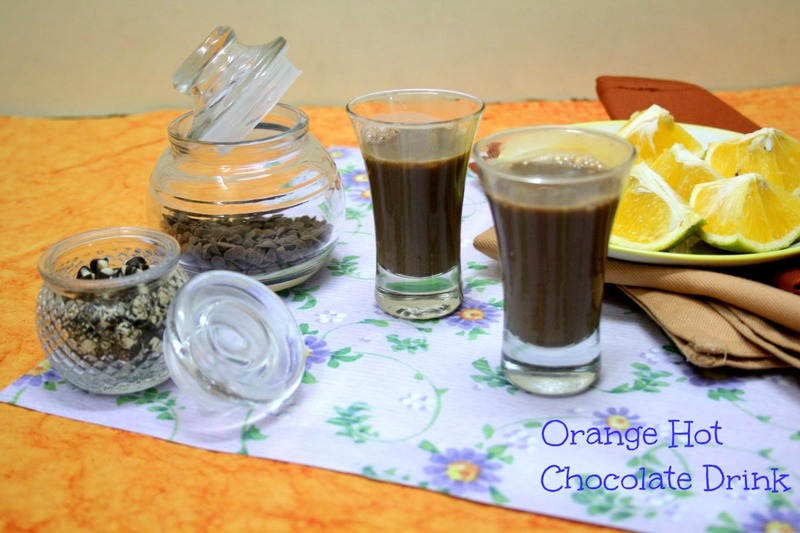 The second drink that really had me was this orange chocolate drink I happened in read about. I am not a person who experiments with drinks, infact I am so fussy that I never change my standard drink. 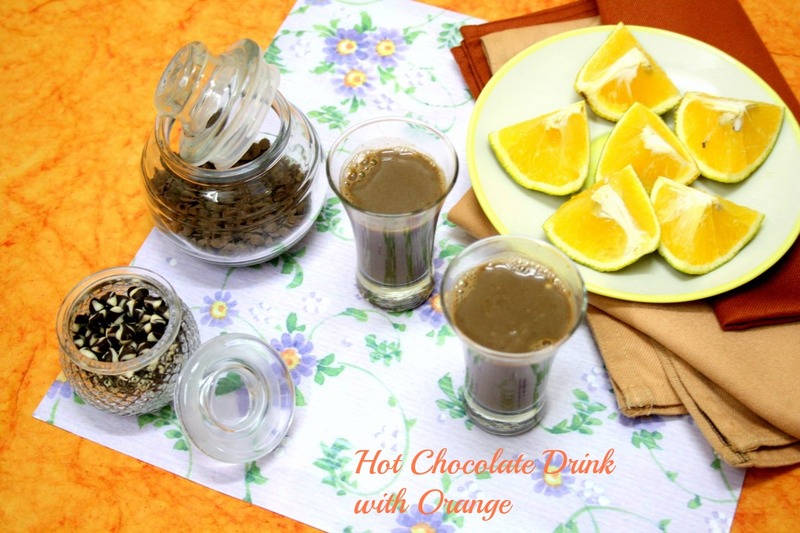 So when I read about this Orange Hot chocolate, I thought I should atleast try it for KOnda. The recipe calls for Grand Marnier or Cointreau and since I have neither, I decided to go ahead use the fresh juice. I was also thinking of fermenting the orange juice before using. However as things happened, I didn’t. Since citrus reacts and turns sour, I didn’t let this drink on heat for more than few minutes and allowed it to steep before drinking. Though I may not willing indulge in this again, Konda was all game for it. Also do remember to top your drink with chocolate chip, that gives a good taste as you sip on it. Thinking about this, I guess it will surely make a good drink for breakfast along with a toast. 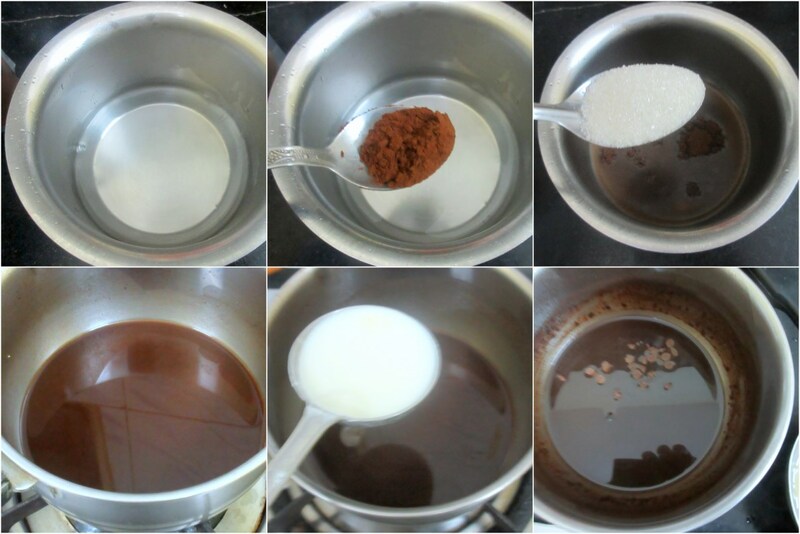 Bring the water to boil, add sugar and cocoa powder, stir till well blended. Have the milk on boil. Simmer the cocoa mix, and add the milk to the cocoa powder, stir in half of the chocolate chips along with orange juice. Cover with lid for couple of minutes. Serve with rest of the chocolate chip on top. Typically Grand Marnier or Cointreau is added to make this drink. Since I don’t have either, I simply used juice to replace. The drink had the distint orange tang. However you shouldn’t have this on heat for long. 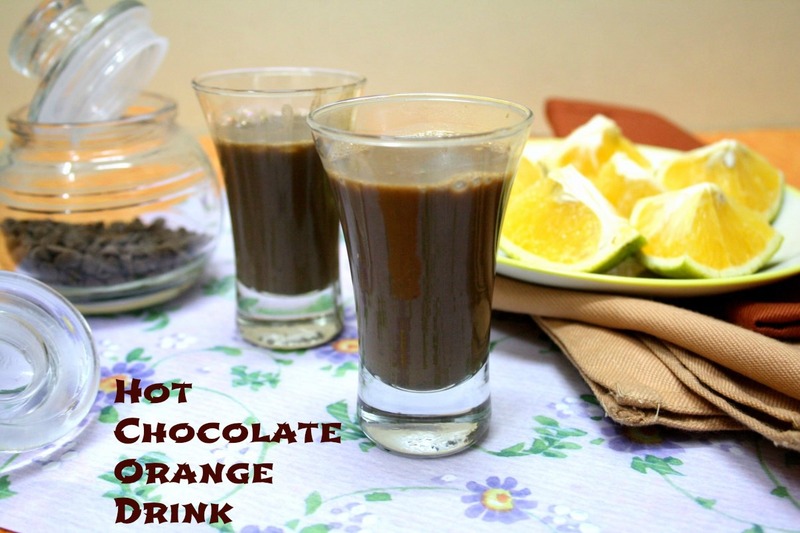 Now you are coming out of your comfort zone with your chocolate drinks. ????. Good to know Konda enjoyed the drink. Sounds interesting. Never tried to combine chocolate and orange in a drink. Orange with chocolate sounds amazing.Bookmarking to try. Chocolate and orange is a ultimate combo and tastes heavenly ! I am sure it will be a hit with kids . Interesting twist to a liqueur based drink. Creative. orange and chocolate is a combination i love, but was a little doubtful about the sour taste of oranges seepin into the juice , so i have left to later try . Chocolate and orange is a great combo. I think it would taste great in this drink too.. I have tried chocolate cuties but not in the chocolate drink. Very nice. I bet it would have tasted delicious. These are my two favorite ingredients…am going to try this asap! Excellent drink to kick start a lazy morning, again an interesting drink to have anytime of the day. Chocolate and orange is sch a lovely combo and yo have nailed it. Definitely a great choice for breakfasts! 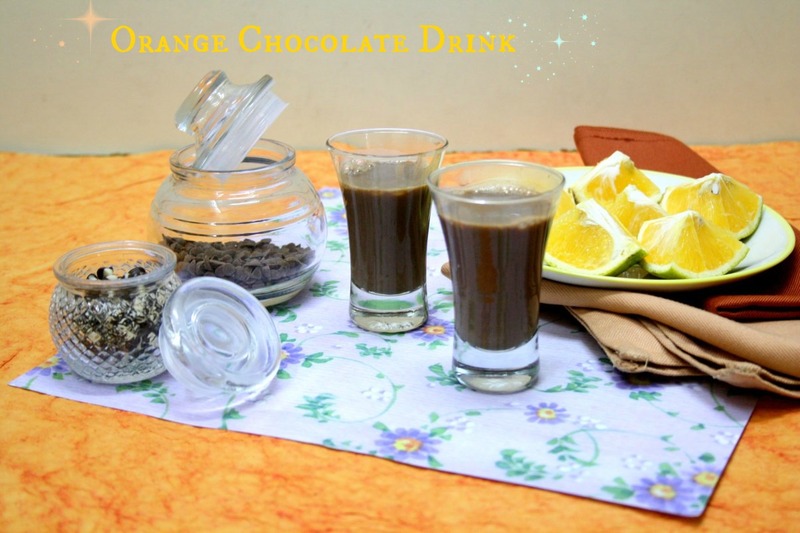 Very interesting chocolate drink Valli. Never tried different flavors of hot chocolate and this sounds very delicious. Very interesting variation. I am showing this recipe to my older one, so she can try this variation. My little likes citrus flavors, so she might like it better.